This post is sponsored by Yoplait. But trust me, you're getting an honest opinion. When it comes to food, I can't pretend to like something I don't. I like to think that I eat a generally healthy array of foods. I'm not a juicer, a raw food fanatic, a clean eater, a paleo mom, or no sugar sergeant, but I like to think we balance the foods that are processed with foods that are real. I'm a "moderation mom". I encourage the girls to eat whole grain, Greek yogurt, all that good stuff, but I also let them enjoy treats and I'm a fan of easy and cheap. 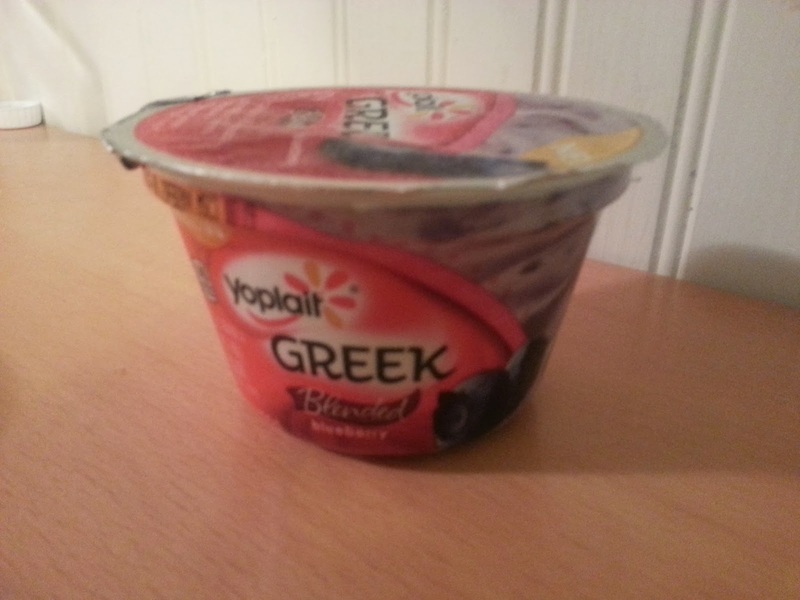 Well, one of my glaring hypocrisies is that I abhor Greek yogurt. I've tried, I really have. I've tried different stir ins, I've tried different brands, but the fact is that I just can't get around the heaviness, the tartness, the sour taste. I'm totally in the minority here. My friends love their Greek yogurt, chock full of good fat and fill you up protein, while I eat key lime flavored stuff, like a grown up choosing to sit at the kid's table. 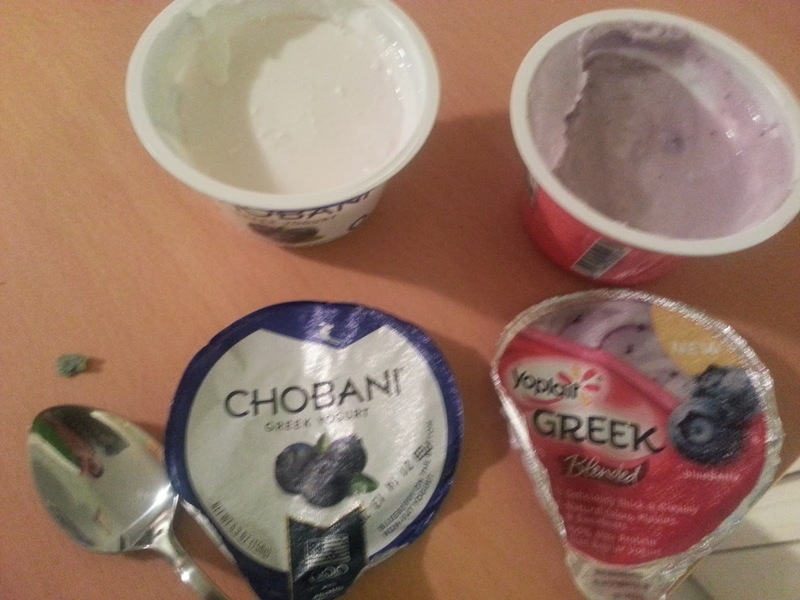 When I was asked to do a taste off between two Greek yogurts however, I was intrigued. First of all, I've never been part of an official "taste off" and I was definitely jumping at the chance to let my opinion be heard. But more importantly, I wanted to try again. I wanted to give Greek yogurt another chance, and here I was, offered the opportunity to try a brand I hadn't tried yet. 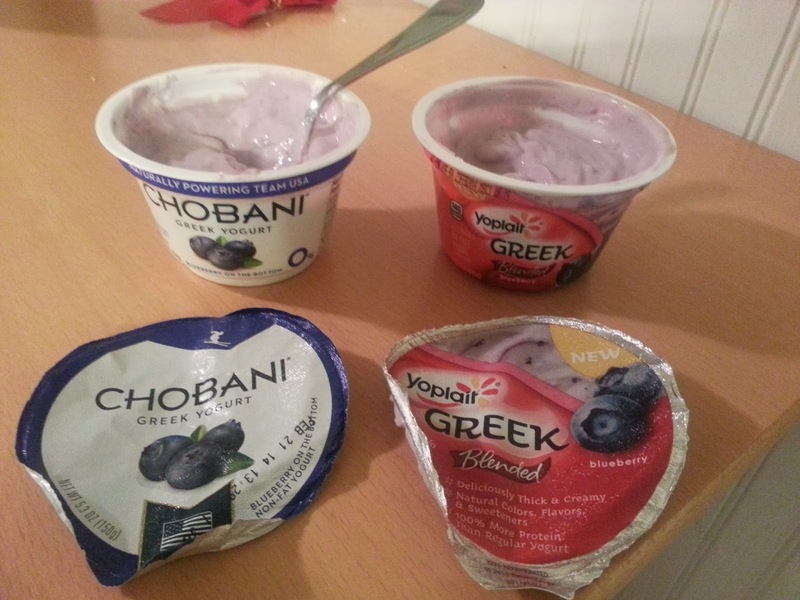 I could give Chobani another chance, and take Yoplait, a brand that I've loved for non-Greek yogurt, and see if they can be the brand that convinces me to take the plunge. First of all, I had to procure my supplies. I chose to go to my own personal mommy mecca, Target, because grocery stores have such a variance in price. 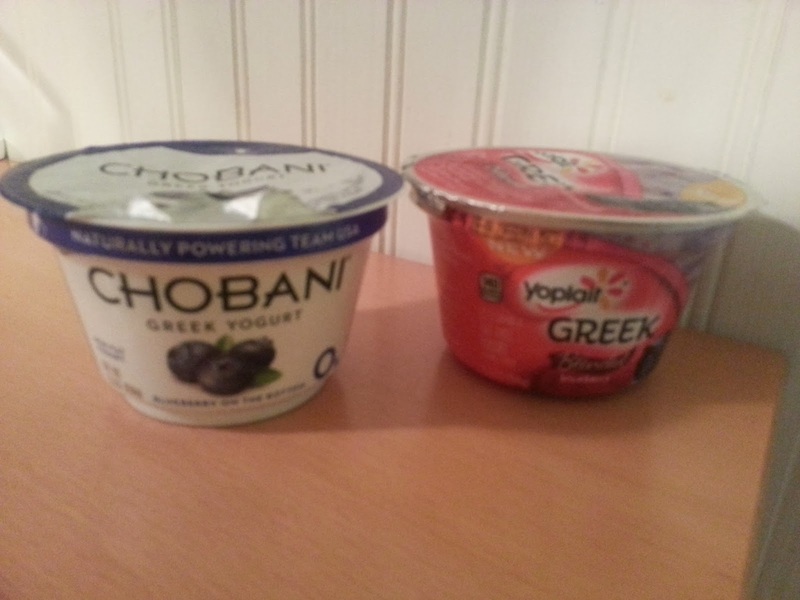 The Chobani and Yoplait both rang in at just over $1 for a single cup, so they were neck and neck. So far, I haven't seen too many coupons come through for either, but my guess is that I'll find some for Yoplait in the paper before long, simply because I've seen other Yoplait products in there (there is a coupon on the Yoplait website, and I'm sure with enough digging, I could find a Chobani coupon as well). This morning, I decided to do my taste test. I pulled off the lids to do my initial "look" test. Based on initial looks alone, the Yoplait was winning. I'm a little biased, since I've never been a fan of fruit on the bottom. Yoplait looked like the yogurt I eat. 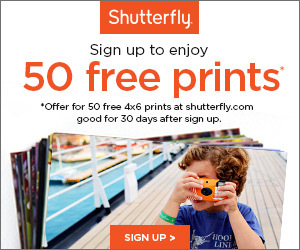 Maybe a little thicker, but I wouldn't immediately identify it as Greek. 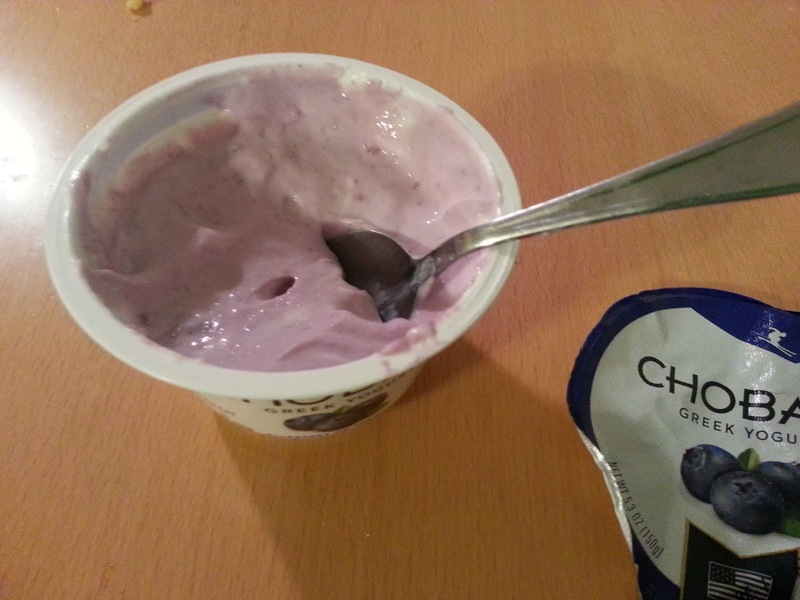 Chobani looked like what I expect Greek yogurt to look like. White, pasty, and separated. But it's not fair to judge on looks. Especially at first opening. I certainly don't want the general public to base my appearance on how I look rolling out of bed. They both earned a good stirring so they could show their best selves. Better. They look pretty similar now. I started with the Yoplait. First bite? Wow. This is unprecedented. I have tried multiple brands and multiple flavors and I have never made a full container of Greek yogurt disappear. I know it's breakfast time, and I was hungry, but I wolfed this cup down. Maybe I do like Greek yogurt! No. I'm so sorry Chobani. 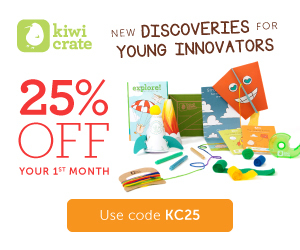 I love your squeeze tubes for kids, but I couldn't do it. Trust me, I was still craving yogurt when the Yoplait was gone, but after one bite my gag reflex was triggered and I just couldn't finish it. Chobani, to me, was too chalky, too tart, too sour. 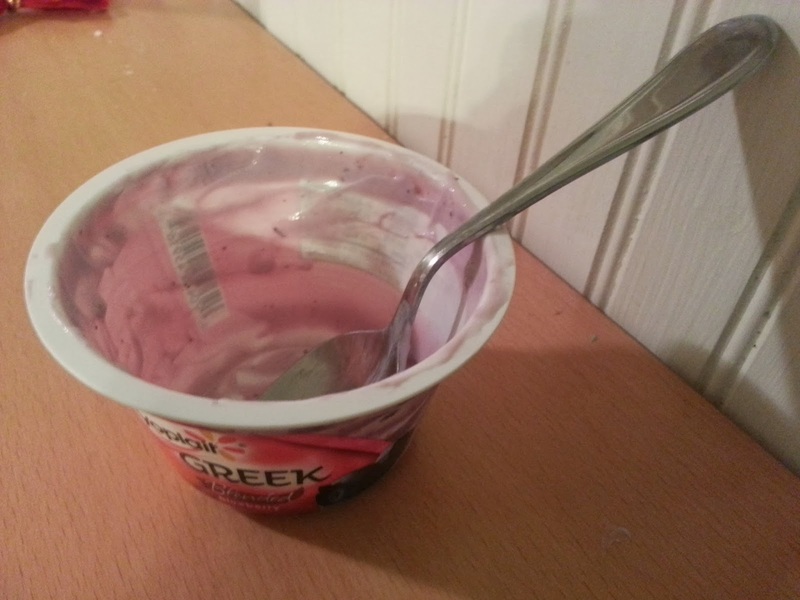 I wasn't getting the berry taste, rather an overwhelming taste of "eat it because this is good for you even if you have to choke down every bite" yogurt. I gave it a second bite, but after that, I was done. Don't worry, I didn't waste it. I blended it right into Reagan's morning smoothie and she sucked it down without a problem. I gave Madison the same taste test, since she often asks for "big girl" yogurt instead of the Yo-Kids I usually buy for the girls. 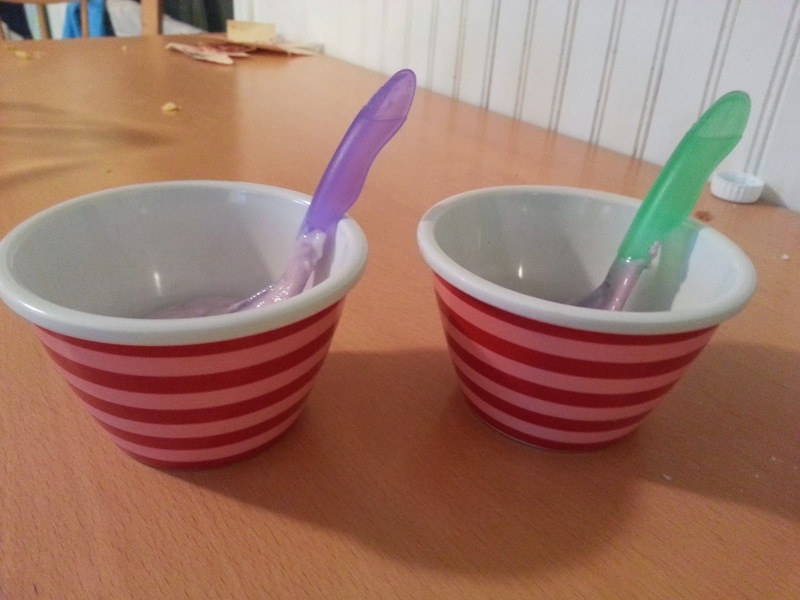 I didn't give Madison the look or price test, but scooped it into two bowls and asked her which she liked better. 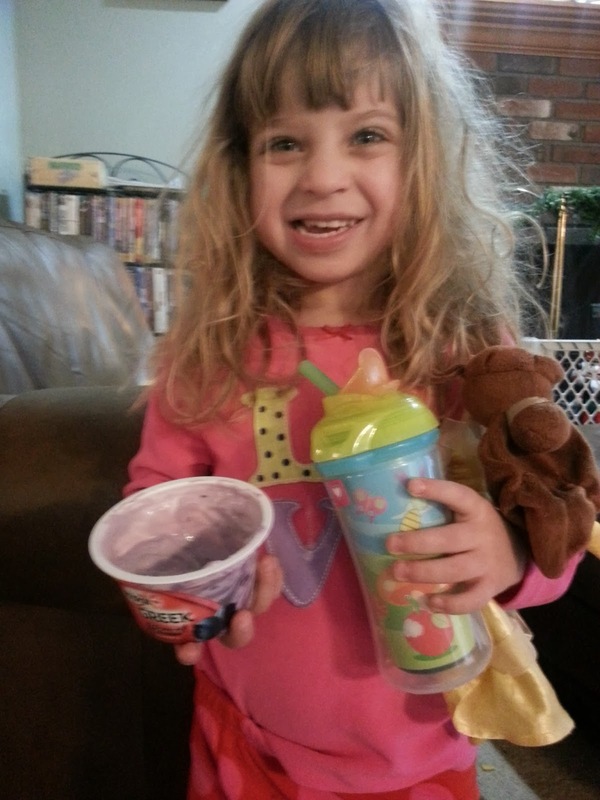 Madison has eaten Chobani kids just as happily as any other yogurt, so she didn't have the Greek yogurt bias as I did. I can stick with one brand for the whole family, know we're eating well, and aren't spending a huge portion of our grocery budget in the dairy section. 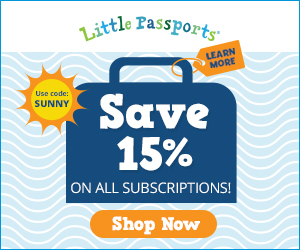 And if I find some coupons, even better! And the best part? One cup, a handful of almonds, and a mug off coffee kept me going all morning. I love the fact that it is packed with protein, yet easy to wolf down, even on a morning when I'm solo parenting. Can I challenge YOU to take the Greek yogurt taste off? 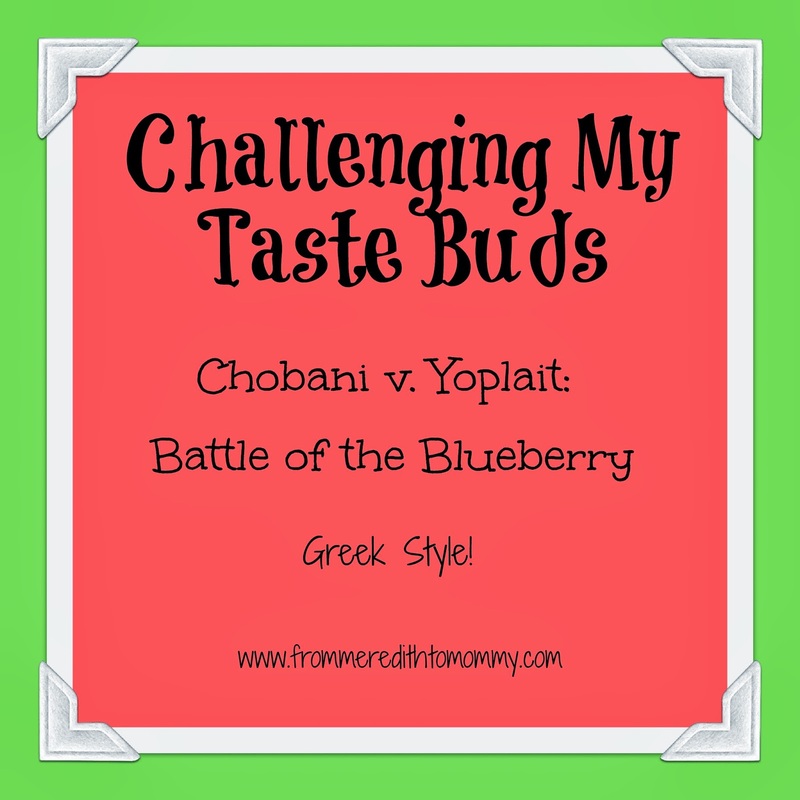 How does Yoplait blended blueberry compare to Chobani blueberry? If you're a Greek yogurt enthusiast OR hold out like I was, I want to hear from you!